Graves Named to American Coolair Farm Sales Division American Coolair Corp.
JACKSONVILLE, Fla. (June 26, 2018) — American Coolair has named H.B. Graves as a sales representative in the Farm Sales Division. In this role, Graves will work with American Coolair customers in greenhouse, poultry and dairy industries. 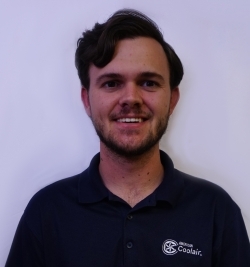 Graves has worked throughout the company since 2007 to gain experience and firm knowledge of American Coolair products. He has served as a Test Laboratory Assistant, and worked in Parts Fabrication, Foundry, Industrial Fan Assembly and Inventory. He studied at the University of North Florida and enjoys hunting, fishing, working on cars, woodworking and welding. Founded in 1928, American Coolair Corporation is a true American manufacturer. 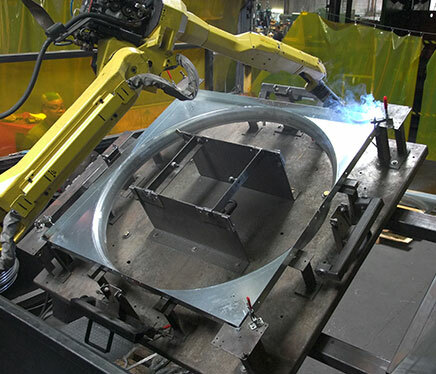 Starting with steel sheet, steel coil, and aluminum ingot, American Coolair produces axial, centrifugal, high temperature and mixed flow fans for commercial, industrial, and restaurant applications. American Coolair also manufactures ventilation and evaporative cooling systems for the poultry, swine, dairy and greenhouse commercial and industrial fan industries. For more information, call 904-389-3646, write P.O. Box 2300, Jacksonville, FL 32203, or e-mail: agfans@coolair.com.